While having lived near the main rail artery between Chicago & L.A. since 1978, I’ve had issues for years about Carman Road crossing. I’ve emailed my state rep, talked with the County Mounties, BNSF Security, written letters to the news rags, all to no avail. I’ve seen many incidents take place, but the topper are the hazardous material semis blowing through the rail crossing on a routine basis. Finally I tried parking my car facing the rail crossing overnight with its dash cam running. I snagged a liquid anhydrous bottle truck and two separate 11,000 gallon gas haulers between the hours of 4&6 a.m.
Next day I drove to Oquawka and had show & tell with one of the Deputy Sheriffs. Following day, every truck pulled their flashers for 300 yards and geared down ‘til they made a complete stop, before proceeding to cross. Let's see how long this lasts. I need to find a 110 charger to run an extra dash cam I have. I can mount it onto the shop and run it constantly... or maybe just a piece of rain gutter that just looks like a camera. And maybe I should be drawing a check from Henderson County for doing their labors. silverstring, Flash60601 and GhostHorse like this. Results! Ain't nothin' wrong with that. 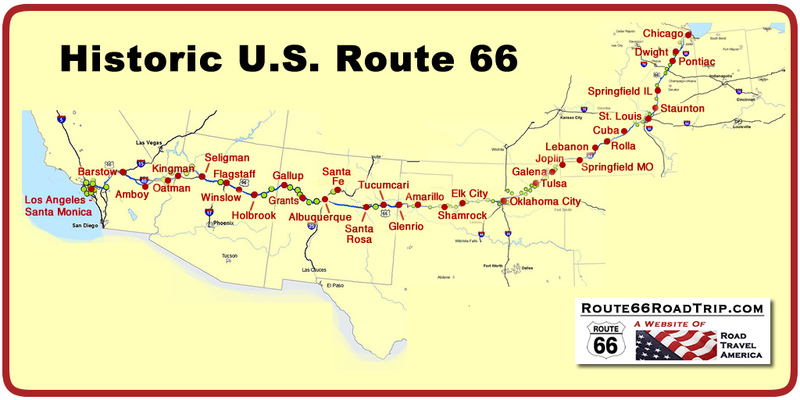 Is that the line that follows the former U.S. 66? Yes & no. Here's a mapped route. Ah, okay. I think that's the old Southwest Chief line, cutting through Kansas. It looks like it goes right through Atchison, Topeka, and Santa Fe (the "SF" that makes up BNSF"). The original A.T. & S.F. RRCY did indeed follow the old Route 66. Chicago to Los Angeles. It was billed as the longest dual track mainline in the USA. I was a land surveyor (construction engineer) for them late 1968-late 1971. Line changes were made over the years to take them around smaller towns and to reduce grades and curves as modern earth moving equipment and explosives made those costs of efficiency more reasonable. I saw a lot of changes in the short three years I was with the company and all were positive changes. We had a hotshot train that could make it from Chicago to L.A. in 24 hours often exceeding speeds of 110 m.p.h. which was unheard of for such a long dual main line railroad. I saw the introduction of Piggy Back transportation by making sure all signals had proper clearances of all the signals. I saw a lot in only 3 years, but enough to convince me not to ever criticize any pending railroading cases. Hypothetically, how would you deal with storage of a firearm if crossing into Canada?